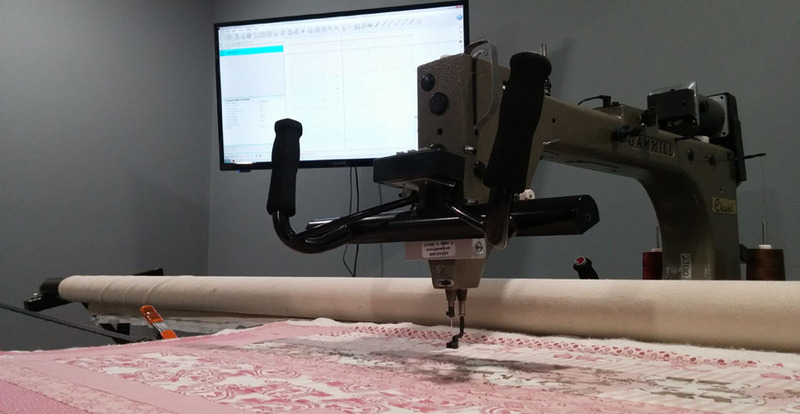 NOVA Quilting offers professional longarm quilting, longarm rental and direct to garment printing. We are located in Leesburg Virginia. We use a Gammill longarm quilting machine, which has been computerized with a Statler Stitcher. This enables us to quilt overall designs quickly and accurately according to your needs. Being computerized gives access to a seemingly endless number of designs which can be sized specifically for your quilts. Copyright © 2017 NOVA Quilting. All Rights Reserved.